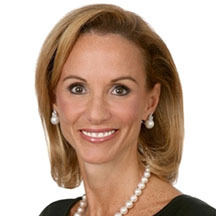 Frances Fragos Townsend, a Partner with Baker Botts, served as Assistant to President George W. Bush for Homeland Security and Counterterrorism and chaired the Homeland Security Council from May 2004 until January 2008. She previously served as Deputy Assistant to the President and Deputy National Security Advisor for Combating Terrorism from May 2003 to May 2004. Most recently, Ms. Townsend provided consulting services and advice to corporate entities on Global Strategic Engagement and Risk as well as Crisis and Contingency planning. Ms. Townsend is a contributor for CNN and has regularly appeared on network and cable television as a counterterrorism, national and homeland security expert. She has received numerous awards for her public service accomplishments. Prior to serving the President, Ms. Townsend was the first Assistant Commandant for Intelligence for the U. S. Coast Guard. Before that, Ms. Townsend spent 13 years at the U. S. Department of Justice under the administrations of President George H. W. Bush, President Bill Clinton and President George W. Bush. She served in a variety of senior positions including Counsel to the Attorney General for Intelligence Policy. Ms. Townsend began her prosecutorial career in 1985, serving as an Assistant District Attorney in Brooklyn, New York. In 1988, she joined the United States Attorney's Office for the Southern District of New York where she focused on international organized crime and white-collar crime cases. In 1991, she worked in the Office of the Attorney General to assist in establishing the newly created Office of International Programs, the predecessor to the Executive Office for National Security. In December 1993, she joined the Criminal Division where she served as Chief of Staff to the Assistant Attorney General and played a critical part in establishing the Division's international training and rule of law programs. From November of 1995 to November of 1997, Ms. Townsend was Director of the Office of International Affairs in the Criminal Division, which serves as the U. S. Central Authority for extradition and mutual legal assistance, and works with the Department of State in the negotiation of international law enforcement treaties. In November of 1997, Ms. Townsend was appointed as Acting Deputy Assistant Attorney General, Criminal Division, where she oversaw international law enforcement and training matters in the Criminal Division, and acted as an advisor to the Attorney General and Deputy Attorney General on international law enforcement policy. In March of 1998, Ms. Townsend was appointed Counsel for Intelligence Policy, managing matters related to national security policy and operations for the Department of Justice. In this capacity she headed the office of Intelligence Policy and Review, an office that provides legal advice and recommendations to the Attorney General and the Department of Justice regarding national security matters, reviews executive orders, directives and procedures relating to the intelligence community and approves certain intelligence-gathering activities, especially those matters related to the Foreign Intelligence Surveillance Act.